'A remarkable book ...food is treated with reverence, with understanding and, above all, with care' - "Sunday Times". 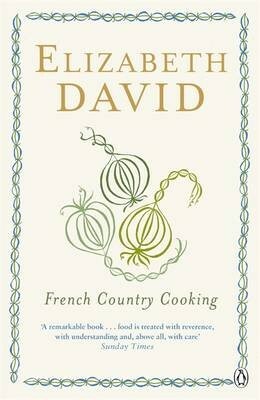 Full of authentic recipes, this richly evocative book describes some of the splendid regional cookery of France. The food of each area has its own particular flavour, derived naturally from local resources. "French Country Cooking" shows the immense diversity of the cuisine through recipes that range from the primitive peasant soup of the Basque country to the refined Burgundian dish of hare with a cream sauce and chestnut puree. There is also invaluable advice on suitable cooking utensils and the use of wine in the kitchen.